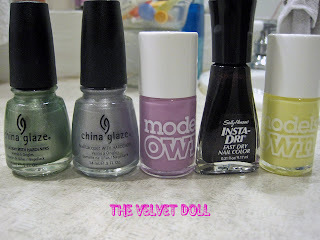 With Love From Rachel: china glaze cherish, model's own lilac dream and more..
china glaze cherish, model's own lilac dream and more.. I have been on a mission to find the perfect summer color. I have noticed that I own about 50+ nail polishes, but wear only 10 of them. I know that I like dark colors, but I also wanted to try some fun pastels that have recently come out for Spring and Summer. From left to right (above), the shades that I decided to try are: China Glaze in Cherish, China Glaze in Millennium, Models Own in Lilac Dream, Sally Hansen Insta-Dri in Uptempo Plum, and Models Own in Lemon Meringue. So here they are on (in reverse, Lemon Meringue is on thumb and pinkie has Cherish on it). 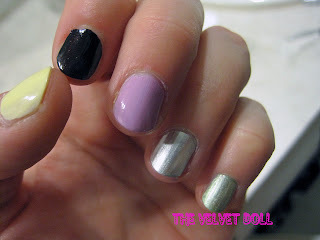 I actually liked all of these colors; the Models Own pastels went on really well and the metallics from China Glaze looked great as well. 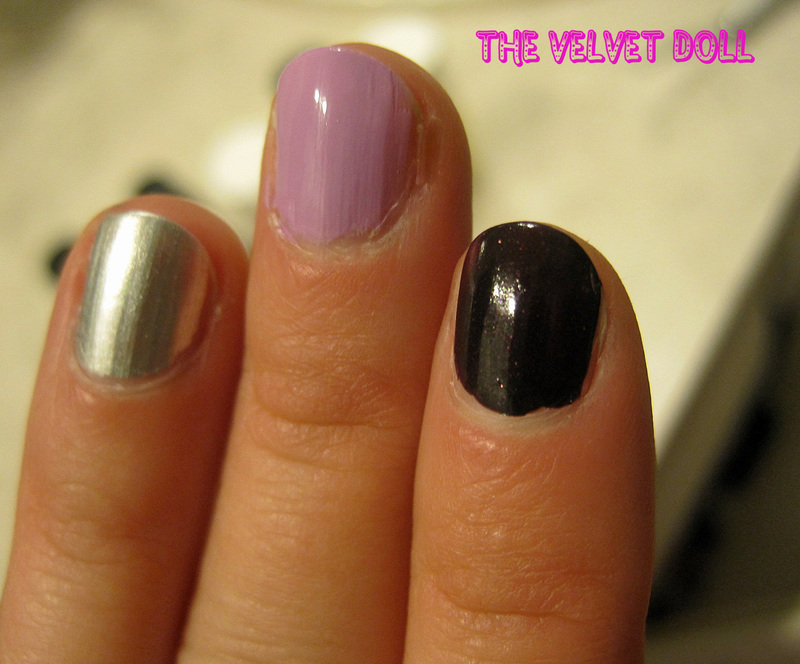 These are my top 3: Millinnium, Lilac Dream and Uptempo Plum. If I had to choose one though, I have been wearing the Sally Hansen Uptempo Plum for the last few weeks now. The Insta-Dri is no joke; the polish is completely dry in 5 minutes. I LOVE it!! I like that this color is somewhat reminiscent of Chanel's Vamp but only costs around $6. I plan on heading back to CVS for more colors this week. For those of us with the patience of a small child, polish that is dry in 5 minutes is a huge deal.